Introducing the next generation console, the Xybix Eagle. 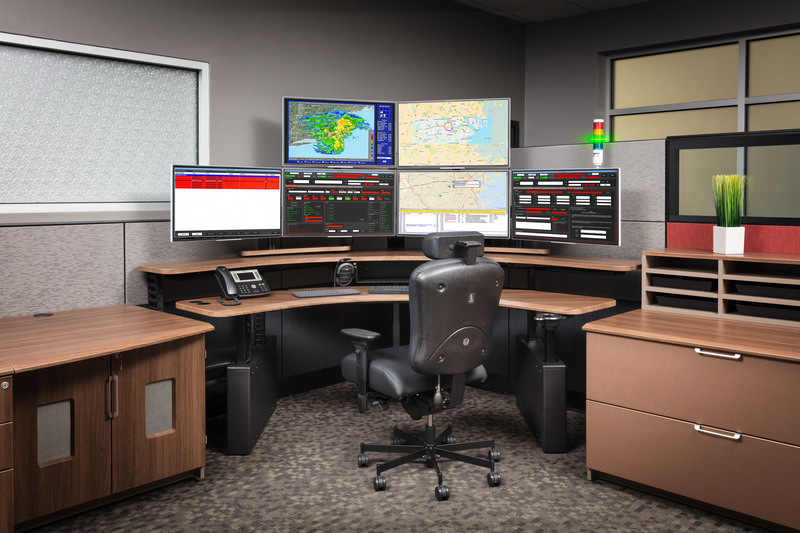 With an ultra-durable 20+ year lifespan, this new 911 dispatch console provides a rock-solid steel frame and aesthetically pleasing finishes proving to be tougher and quieter than ever before. 3D laminated work surfaces with seamless and contoured edges. Low profile, easily re-configurable monitor mounting for any monitor combination. Improved sight lines for better communication. Low profile dimmable LED task lighting. 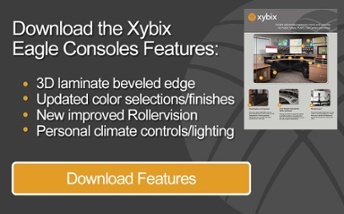 To learn more about Xybix's Eagle dispatch consoles fill out the form and download the spec sheet.